I’m so excited…. I have been busy as a beaver helping speakers and authors to win. I have the Branding Accelerator Program, Speakers Magazine and now did you hear that our new book Speak Up! 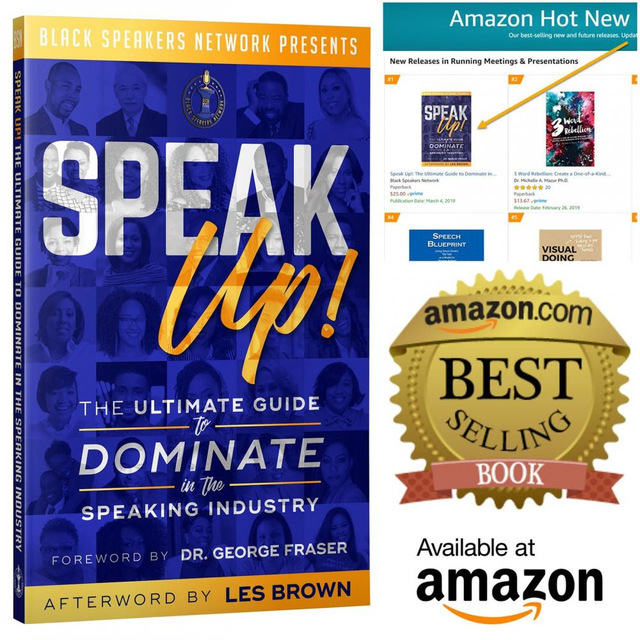 The Ultimate Guide to Dominate in the Speaking Industry is now the #1 best selling book on Amazon in TWO categories? This is the book that aspiring professional speakers around the world have been waiting on. 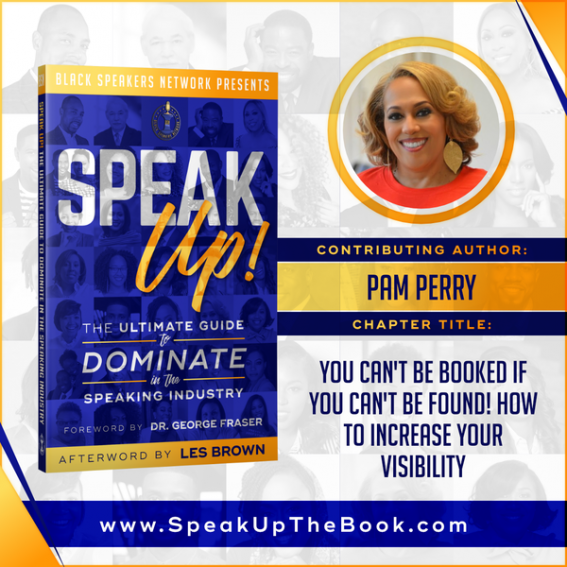 The 32 Black Speakers Network expert authors did not pull any punches when it came to delivering valuable and actionable tools and strategies you need to get paid as a professional speaker. If you do not yet have your copy, stay tuned, I’ll be doing a book signing soon! 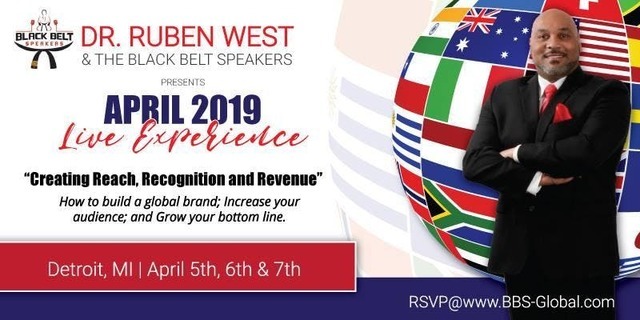 And… if you really want to hone your speaking skills, you need to come to this Detroit event by Ruben West. Do you have a vision to engage, connect and monetize your message? Are you having difficulty putting your presentation together or speaking about your business? How would you feel if you were recognized, endorsed, and paid for your worth, skill and talent? 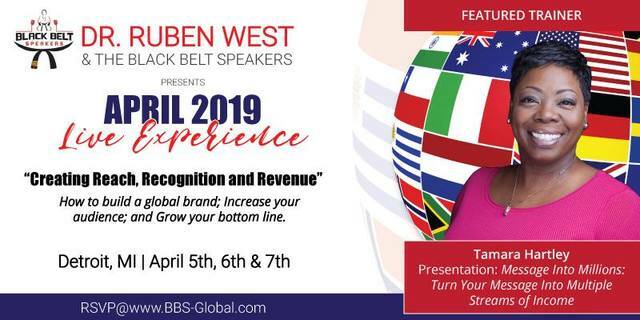 Would you like to join us as we travel to countries around the world and share your message or talk about your business? If any of these questions resonated with you, you MUST purchase your ticket NOW! How to get International Clients. Come connect with people that have international access. One of the key components to the Black Belt Speakers Training is the drills and activities that keep you thinking on your feet. This years training will feature various trainers from the Black Belt Speakers team. These individuals have spoken to groups both large and small. They have tested their messages with different audiences and been very successful. Not only have they spoken within the United States but several of them have spoken internationally. They’re going to share with you some of the training drills that have helped to make them better speakers and given them the ability to think quickly and keep the audience members focused and engaged. Can’t make the LIVE Event in person? I’d like to invite you to apply to my Branding Accelerator Program…. It starts April 9th and runs for 12 weeks.